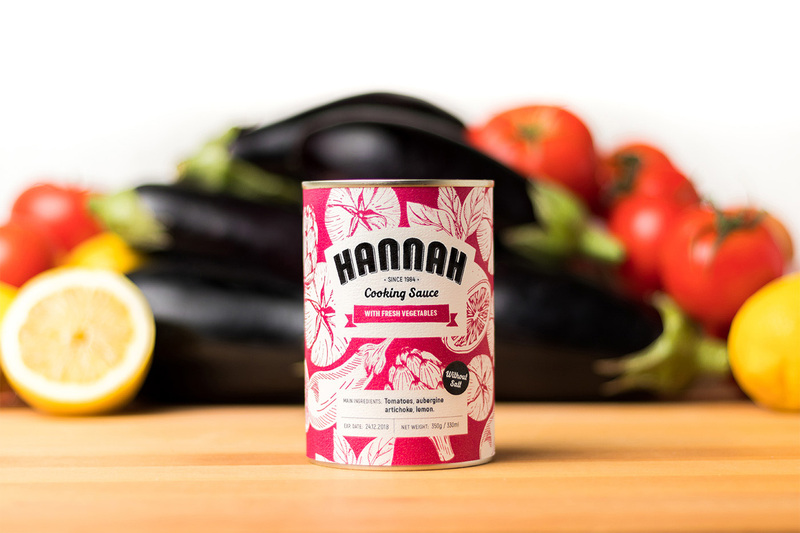 The kitchen of a modern family is made up of small shortcuts that allow them more quality time without losing the taste and authenticity of traditional cuisine. 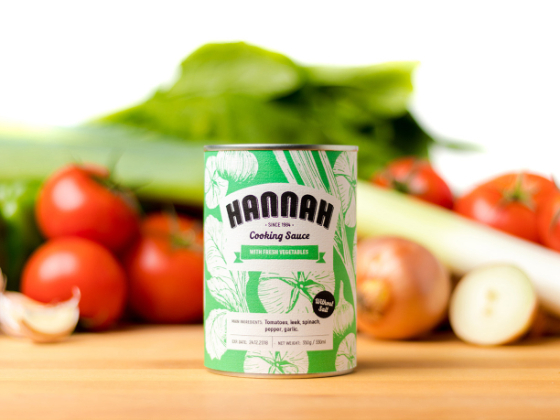 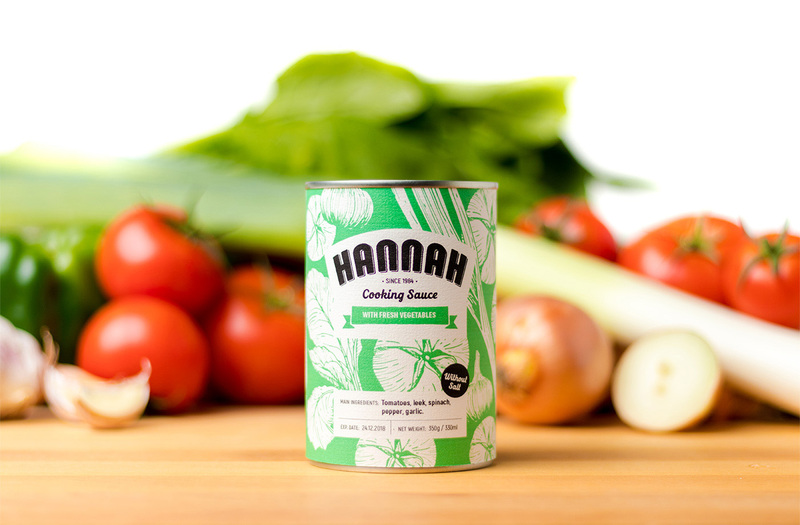 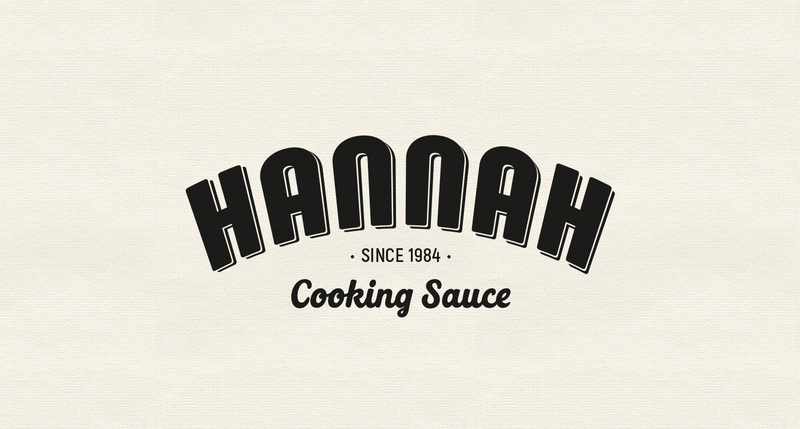 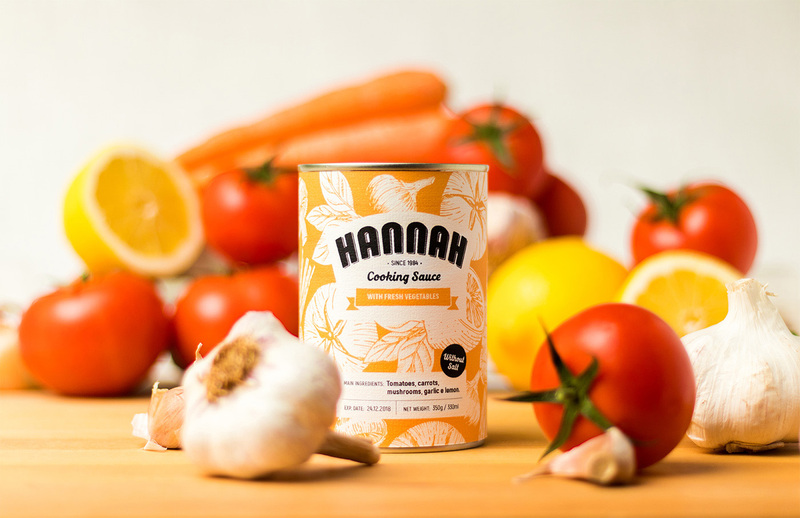 This is how Hannah's Cooking Sauce was born. 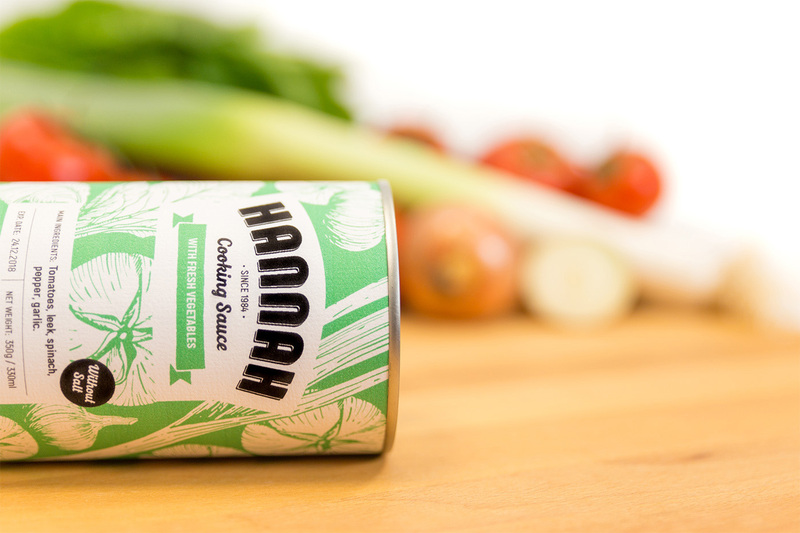 With illustrations representing their ingredients, these sauces are a tasty and healthy addition to any kitchen. 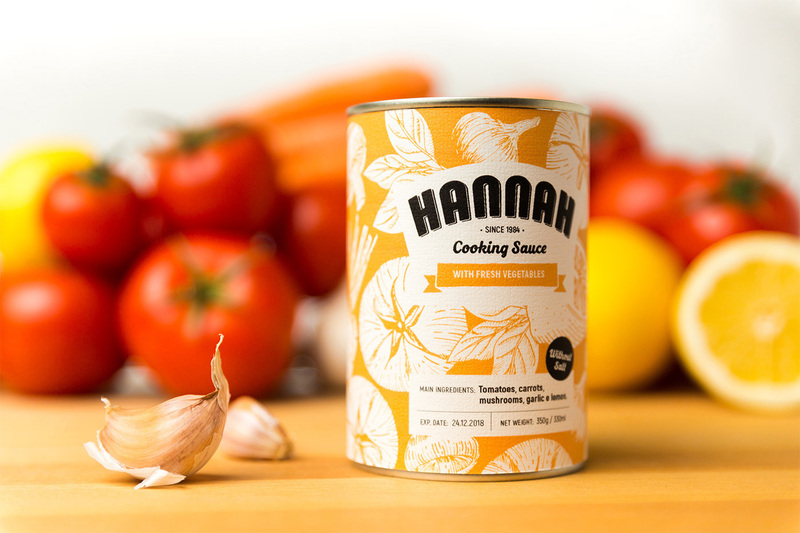 A balance between tradition, the concept of "homemade" healthy food, suggested through illustration, and a dash of digital and color to put the product at the forefront. 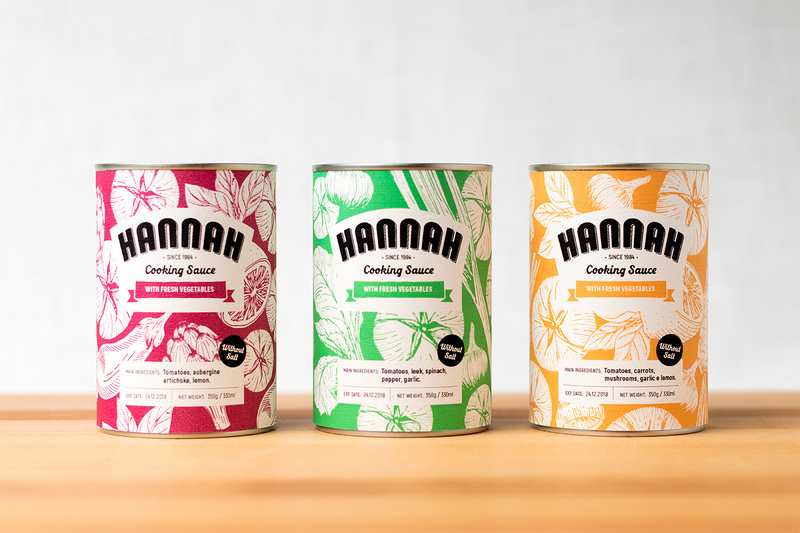 The result: A packaging that captivates and sells the product. 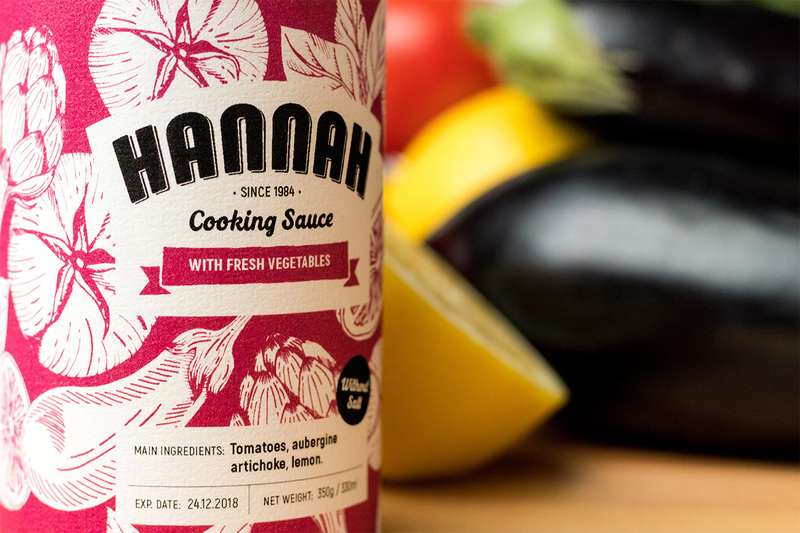 The bold colours and typeface that demand attention from whoever sees the product on a shelf.